Today I am sharing with you a simple tapa that you may prepare after a long day at the office, in meetings, or on the go. For me, nothing beats this combination of savory flavors. 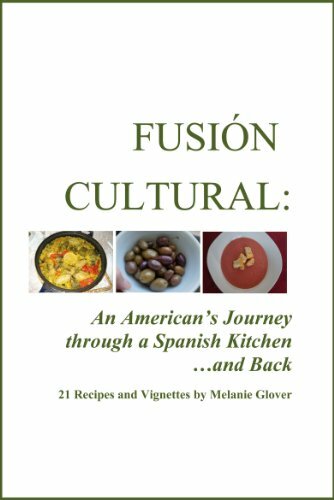 Plus, it’s a sneak peek from my recipe ebook, which you can find here: Fusión Cultural: An American's Journey through a Spanish Kitchen and Back. The first step to this recipe is to follow the recipe for “salsa de tomate” under the “condiment” section above. However, this dish adds garlic. Wash and dry the tomatoes. Slice them into quarters, removing any hard parts. Blend or mash the tomatoes. Once the tomatoes are mashed or blended to the consistency you desire, pour them into a medium-sized bowl. I prefer not to puree the tomatoes for this recipe; I prefer instead a lumpier consistency. Chop the onion and garlic, and set them aside temporarily. Pour the mashed/blended tomato mixture into the large frying pan, and add in the chopped onion, garlic, and olive oil. Season the mixture with salt. Allow the tomato, onion, garlic, and olive oil to simmer for about 15 minutes. Stir occasionally. While the mixture is simmering, toast the bread slices in the oven at 250 degrees Fahrenheit for about five or 10 minutes. Taste the tomato mixture after it has simmered to determine its level of acidity. If the mixture is too acidic, add about a half of a teaspoon of sugar (or other sweetener of your choice) into the mixture. Mix the sugar evenly into the blend. Carefully spoon the mixture onto the slices of toast, and top with a slice of Serrano ham for additional flavor. Enjoy!